As investors, we know that the news moves the market. Ultimately, any time there is positive news with regard to a publicly traded company, we can expect to see gains in the value of the stock associated with that company. Adversely, when there is negative news associated with a publicly traded company, we can expect to see declines. In this particular case, UNXL released overwhelmingly positive news. Ultimately, the size of the orders associated with the program haven’t been released yet. However, I could imagine that it is relatively large. That considered, this program will likely lead to massive gains in revenue and earnings, exciting investors. As a result, we’re seeing strong gains in the value of the stock today. Currently (12:23), UNXL is trading at $0.71 per share after a gain of $0.05 per share or 8.20% thus far today. Moving forward, I have an overwhelmingly bullish opinion of what we can expect to see from UniPixel. The company has proven that it has exceptional products, and now, it has received what may just be the largest order the it has ever seen. With the new program in mind, revenue and profits are likely to soar for UNXL in either the fourth quarter of 2016 or the first quarter of 2017. 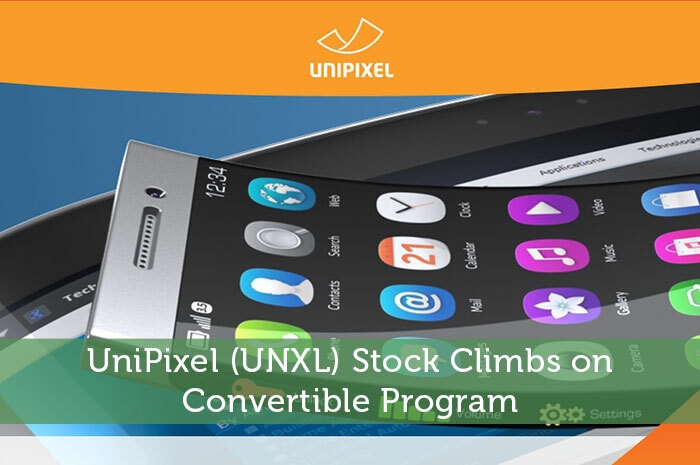 As a result, UNXL is likely to report strong earnings and excite investors further. So naturally, we can expect for this to lead to strong long run gains! All in all, things are looking great for this company. Where do you think UNXL is headed moving forward and why? Let us know your opinion in the comments below!